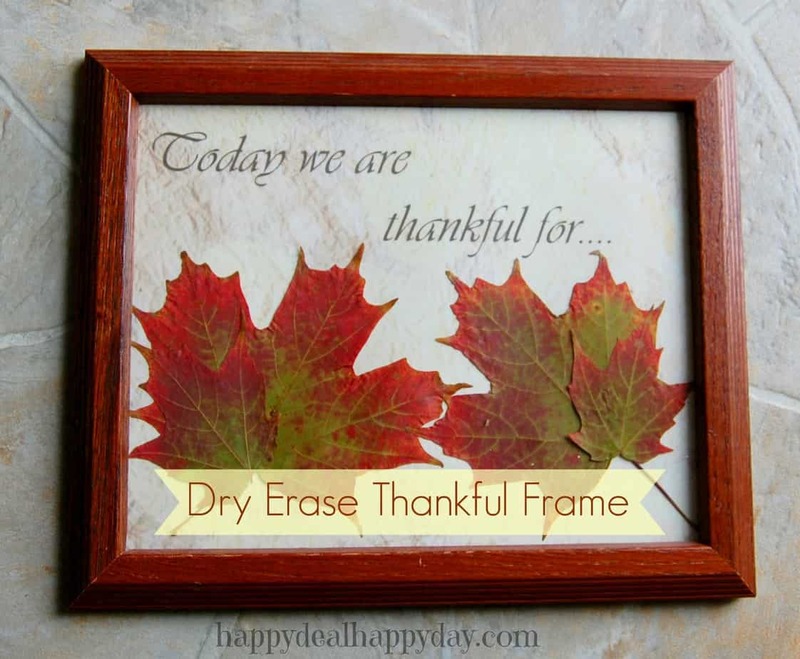 Picture Frame Dry Erase Board for Thanksgiving - Includes Free Printable! | Happy Deal - Happy Day! I can’t believe that the first of November will be here in a few days! 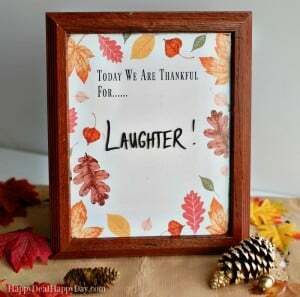 Throughout the month of November, I like to ask my kids each night at dinner to record one thing they are thankful for. That way we can focus more on the act of thanksgiving all month long rather than just on the holiday itself. 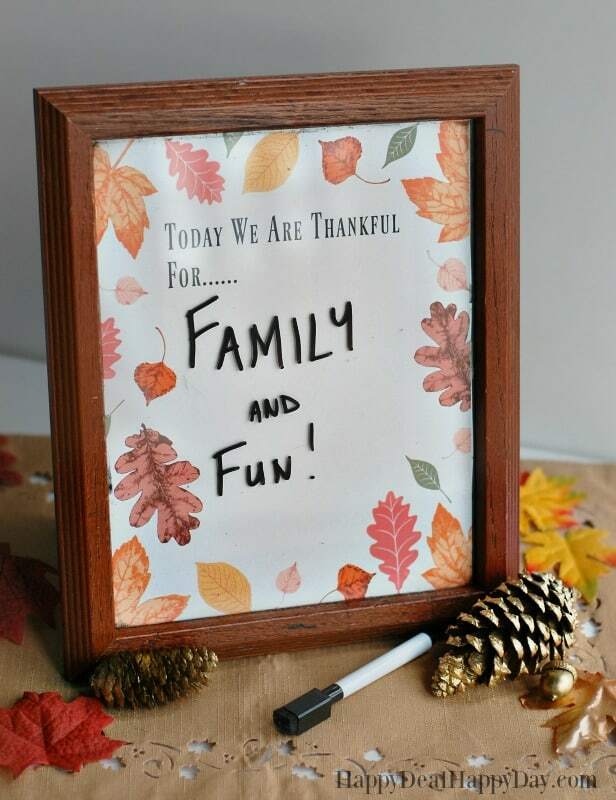 One easy way to do this is to have a Picture Frame Dry Erase Board – like the one pictured above! Subscribe to get our latest content by email. 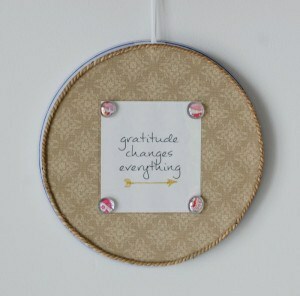 When you do, you will receive your free printable "Today We Are Thankful For..." 8x10! Success! Now check your email to confirm your subscription and get your download to print! 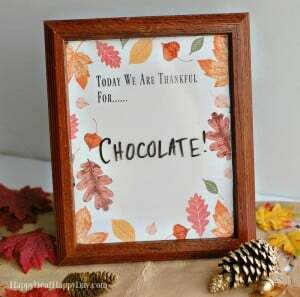 Once you print out your “Today we are thankful for” sign, frame it and place it somewhere near the dinner table. 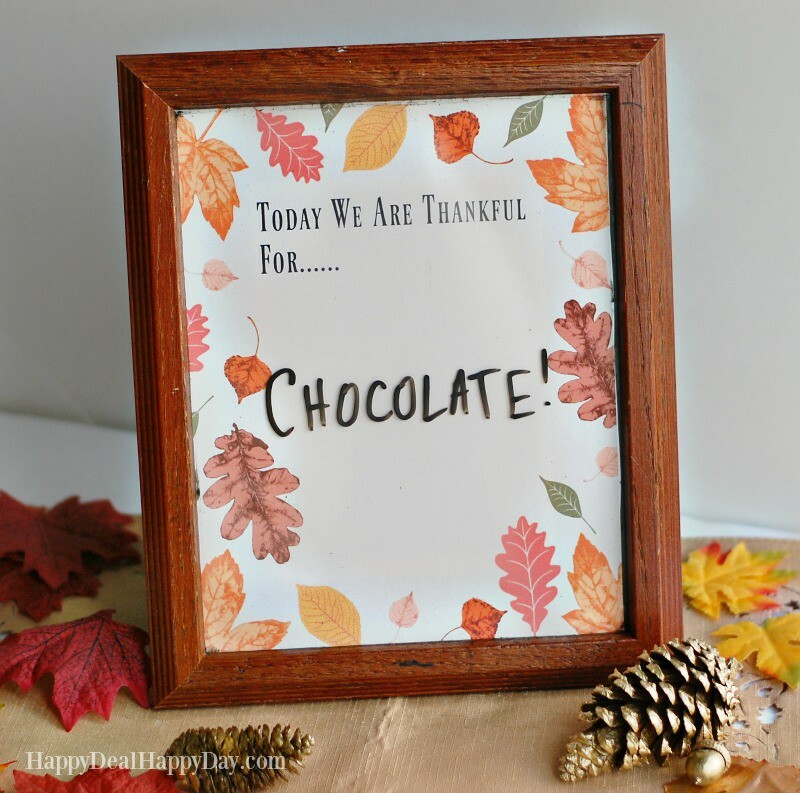 You could even surround it with some leaves and pinecones and make this your Thanksgiving Centerpiece! Each night we take turns writing down one thing we are each thankful for. The kids just love using the dry erase markers and erasing each day. It might be a good idea to give each member of the family a different color marker and everyone can write down one thing daily. 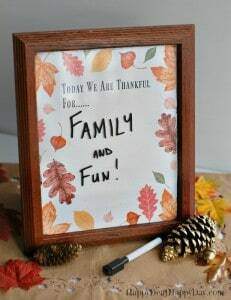 What family traditions do you do with your family each year that focuses on our thankfulness? 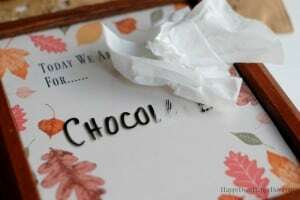 You could also take turns passing this around during your thanksgiving feast and everyone at the table could write something different. If you are looking for the lowest turkey prices of the season for your feast, then go here for the local turkey price deals. Looking for more Thanksgiving Decor items? Check out my “Gratitidue Changes Everything” Magnet Board over in my Handmade Amazon shop! 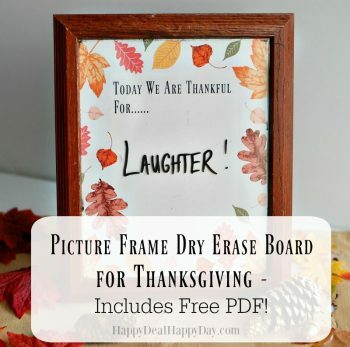 12 Responses to Picture Frame Dry Erase Board for Thanksgiving – Includes Free Printable! What an awesome family activity! Totally pinning. Going to have to pin this one 🙂 Thanks for sharing this! Printed and definitely doing this 🙂 Thanks so much for sharing! This is a great activity for the family. Love it! Thank you for linking up with us at #HomeMattersParty .We would love to see you again next week. I know this is a HUGE request, but I was just asked tonight to have centerpieces ready by tomorrow night for a party. I thought this would be a great one, but that party will be with hispanics! Is there ANY possible way you could email me a pdf with thr same wording in Spanish? It would say….Hoy estamos agradecidos por…. I entered my email and confirmed but haven’t received a PDF. Is it no longer available? Can you do me a favor and check to see if it went to your junk folder? If you still don’t find it, send me a quick e-mail at happydealhappyday@hotmail.com and I’ll send over the PDF to you. Sorry – I wish technology worked 100% of the time!! I subscribed, confirmed, checked my spam, and refreshed my email several times. I still haven’t received the printable. Yeah there was a tech glitch on this one which is now fixed Crystal. E-mail me at happydealhappyday@hotmail.com and I’ll send it to you directly. Sorry about that!